He’s black, white and brave all over. Dax the Firefighter is ready to rescue anyone in need of an emergency cuddle, while charming the masses with those persuasive puppy dog eyes. 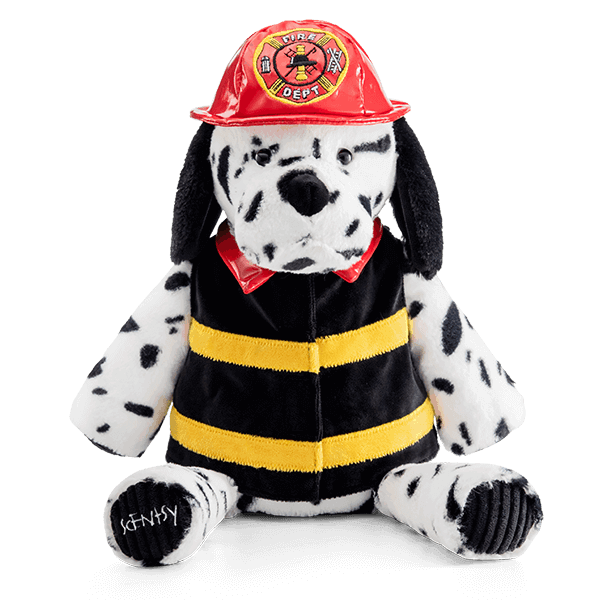 Returning for a second chance to own Dax, the firefighter Scentsy Buddy! Free Scent Pak – You choose scent!